The commission is a comprehensive administrative office of the state for national defense science, technology and industries. SASTIND is the premier civilian regulatory authority in China and reports directly to the Ministry of Industry and Information Technology (MIIT). Their primary responsibilities include drafting guidelines, policies, laws and regulations related to science, technology and industry for national defense. This includes researching future weapon systems, scientific development of dual-use systems, and managing the exports of developed weaponry. Universities researching defense technologies report directly to SASTIND. In regards to the domestic control and export of nuclear materials SASTIND works closely with both the Ministry of Commerce and the China Atomic Energy Authority (CAEA), SASTIND’s bureaucratic subordinate. “China’s Program for Science and Technology Modernization: Implications for American Competitiveness,” The U.S.-China Economic and Security Review Commission, January 2011, p. 111. “Department of Civilian-Military Integration Promotion,” Ministry of Industry and Information Technology, http://jmjhs.miit.gov.cn. “中华人民共和国工业和信息化部人民解放军总装备部第13号令 [Ministry of Industry and Information Technology Ministry of People's Liberation Army General Armament Department of the First 13 Orders],” The Office of Scientific and Technological Industry of National Defence in Shandong Province, 5 May 2010, www.sdostind.gov.cn. Federal Office of Economics and Export Control, “Cooperation in Export Control of Dual-Use Goods,” German Federal Government, www.bafa.de. Thomas G. Mahnken, “China’s Anti-Access Strategy in Historical and Theoretical Perspective,” Journal of Strategic Studies, 2011. 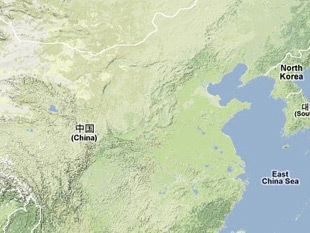 “民用核安全设备监督管理条例 [Supervision and Management Regulations for Civilian Nuclear Equipment],” State Council of the People’s Republic of China, 28 May 2010, www.gov.cn.